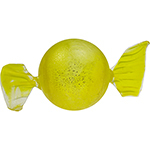 Authentic Murano Glass Lampwork. 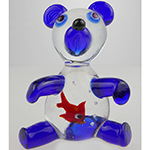 Lampworkers in Murano are 3rd and 4th generation in this field, taught by their fathers. The technique differs from bead making in that no mandrel is used, rather the animal or object is made right from the cane. They work with larger size canes and magically produce incredible fantasy objects. 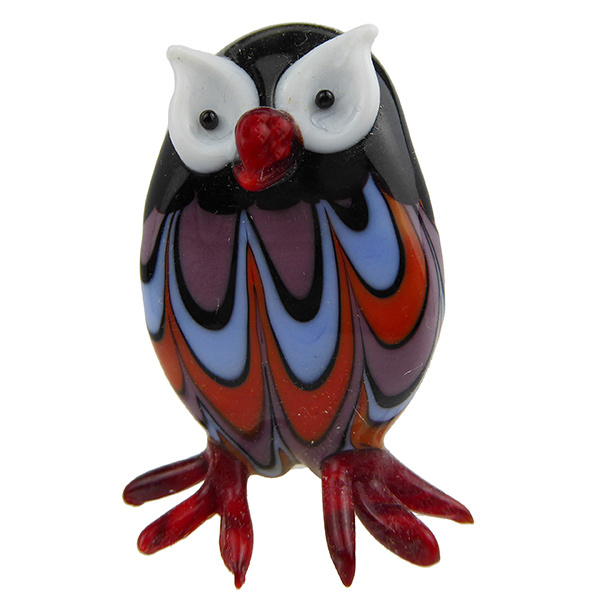 This little owl stands about 2 1/4 inches tall, with a body made of multiple colors of Murano Glass, looking like he has on a Missoni sweater. This little type of owl is called civetta in Italian. 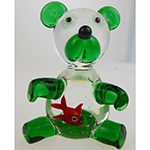 The main colors are Black and Green Murano Glass.